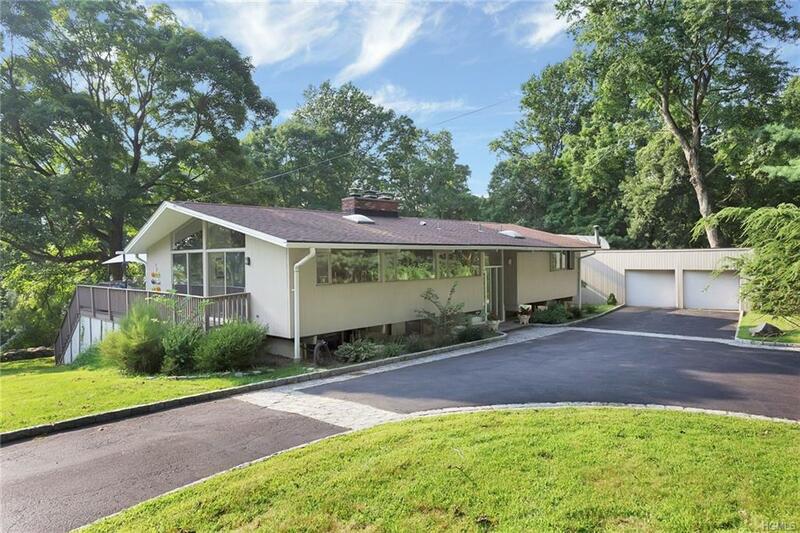 This mid-century modern home sits on 1.5 acres and boasts walls of glass that overlook the stunning natural beauty & green-space in the quiet hamlet of Armonk. 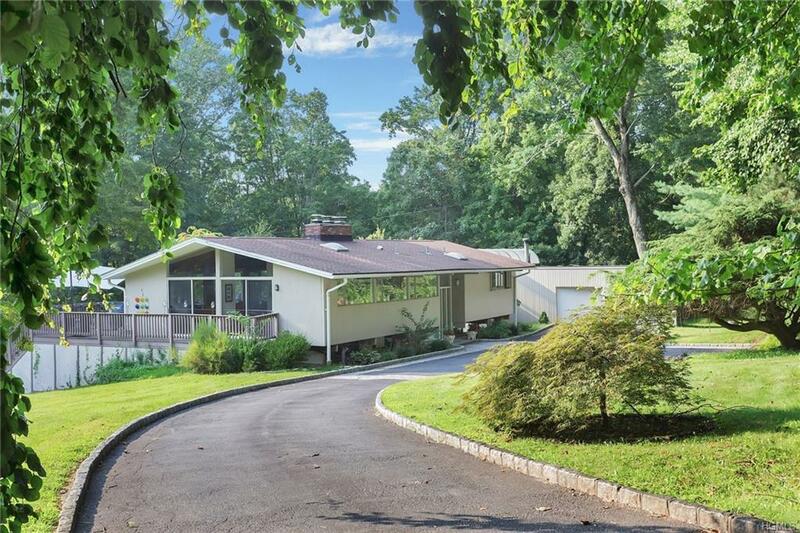 Private and beautiful, this home is in the perfect Whippoorwill location; close to downtown shopping, restaurants, major highways and train to NYC (45 mins). This home was made for todays lifestyle with the open floorplan of the living room, dining room and kitchen, all with scenic views and access to the expansive deck for entertaining. 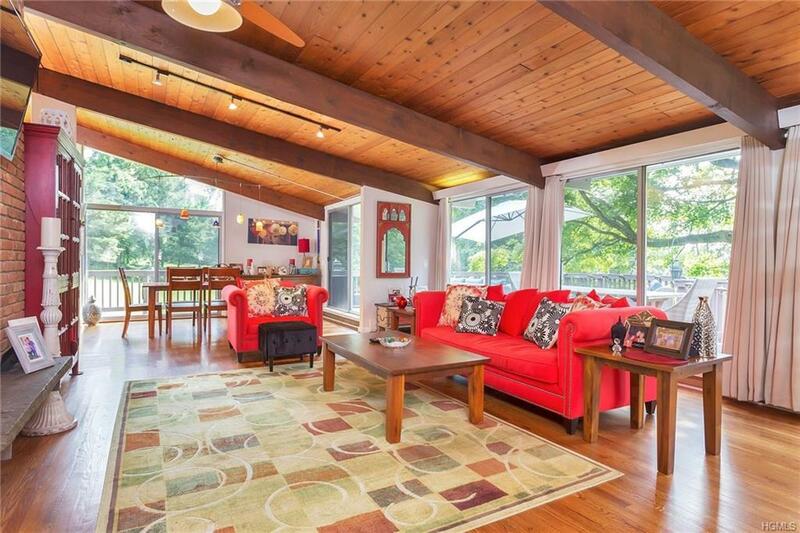 The vaulted ceilings, beams, fireplace with brick wall, make this loft-like living space look modern yet warm. 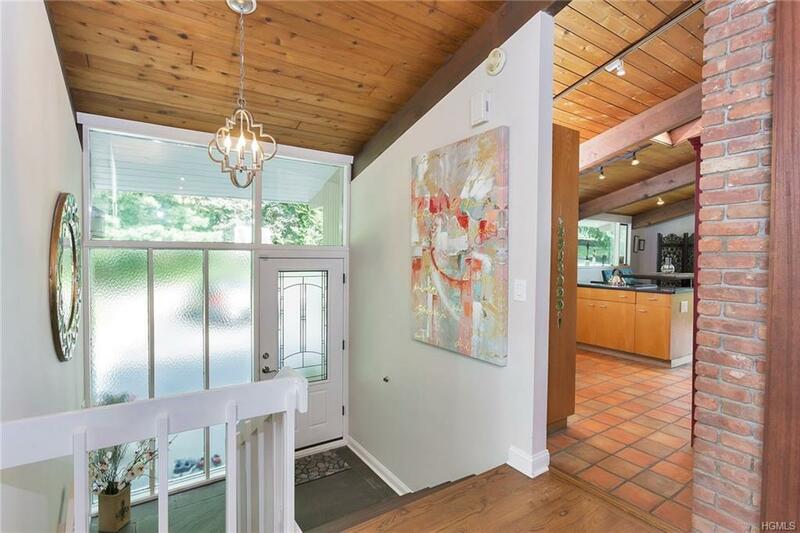 There are 3 bedrooms on the main level with the spacious Master with gorgeous bath, WIC and deck privately located at the end of a stunning glass passage way that brings in lots of natural light. The lower level includes a family room w/FP, an additional bedroom, office/bedroom and a full bath, perfect for guests. Two-car attached garage and gym space. This home is a must see! Listing courtesy of Elvira Aloia of William Raveis Legends Realty.